In our lives, we are confronted with situations and decisions that have to be made. In many situations, life forces to make a simple choice, a) or b). In many other cases, our options are counted in single digits and a resolution has to take place immediately, sometimes must be done instantaneously and without hesitation. 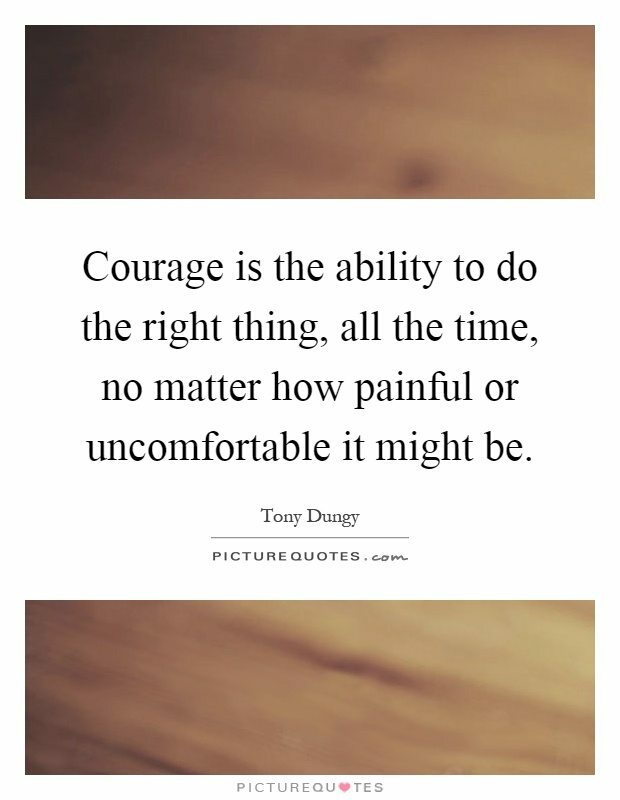 This article is not precisely about courage, but courage to do do the right thing even if that might tarnish or decimate personal aspirations or goals. Doing a a wrong to do a right is a common dilemma, maybe a poor decision if it was made without analysis and thought, it could be acceptable. The fact that you don’ have time to choose well because all took place in a split of a second and you had decide, for instance, to hit the wall in the highway and injure your family, or hit another vehicle and or multiple vehicles to slow yourself down and injure many more, because you thought that in that way you could have been protecting your family. That obviously might be an extreme case and i bet God in that situation will intercede for you and other options may be available to be made. Hence, God himself points out that you just a) defend the rights of the poor and the needy, b) self-seeking and do not obeying the truth has terrible consequences. In fact, one of the first teachings God brings to the bible are a) blind faith, and b) surrendering your own best gift even from him to honor his glory. This is a very interesting story as God is requesting Abraham to offer Isaac as a sacrificial lamb, and Abraham after having no children and waiting for over a century to have a child, had to make a choice: a) Ignore God’s request and trade the offering, b) Do God’s will and obey, blindly Abraham chose to obey God and God provided him a substitute sacrificial lamb. Hence, you have to let God have the final call and do what is right. Hence, you should not only obey God and do what is right, even when what is right goes against you own personal desires and aspirations, you must trust in the Lord with all your heard with all yourself, and trust him blindly. As 2016 ends, and we approach 2017, I am personally making a pledge to do what is right, pray the Lord to give you the courage to do wha tis right, and to trust in God with all help you to face consequences of all that has been done and all has happened in 2016 is for his Glory and love. I would also encourage you all to give yourselves to charity work, help your bother and neighbor in need, and do it with kindness without expecting a thing. Do what is right in 2017 and you will do more for mankind that anything else.